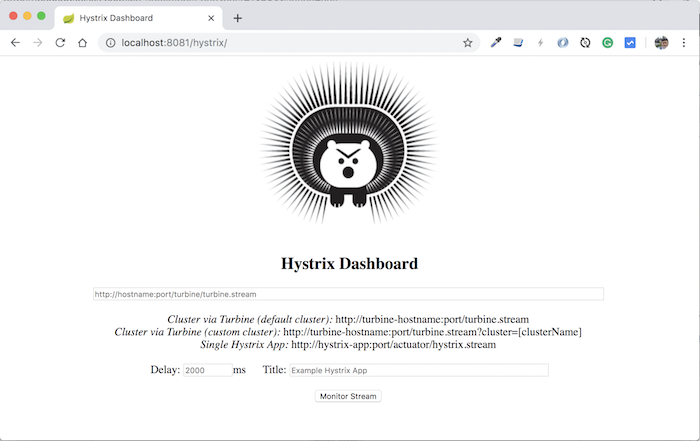 I have introduced you to Hystrix and Hystrix Dashboard to monitor calling to other services of service in the Microservices system. 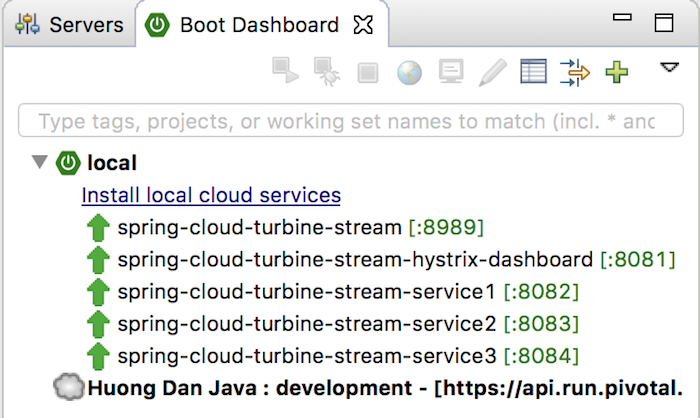 One problem is: we have a lot of services in a Microservices system, we have to open the Hystrix Dashboard of each service to monitor them, aren’t we? 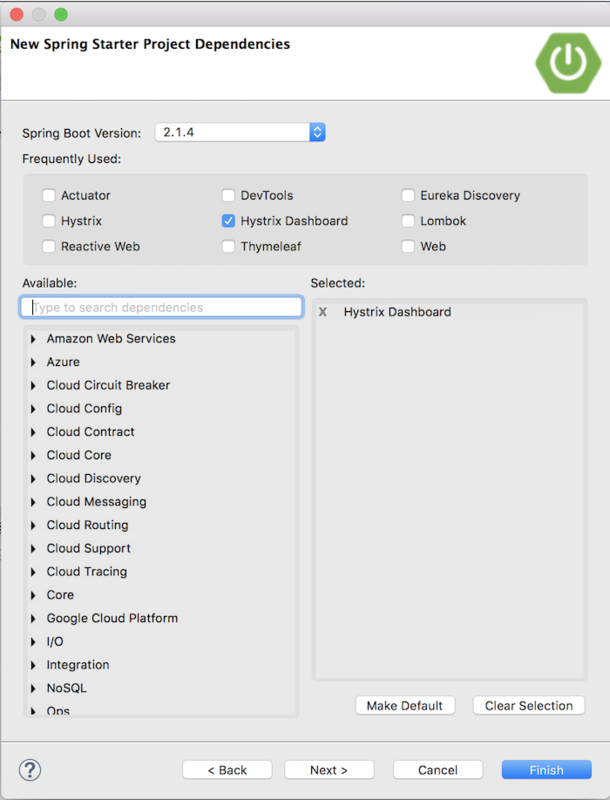 It’s more convenient if we can combine the Hystrix Dashboard of all services into a Dashboard and just need to monitor this Hystrix Dashboard. Thankfully we can do this with using Netflix’s Turbine or Turbine Stream and their wrappers from Spring Cloud Netflix. How is it in details? Let’s find out about Turbine Stream first in this tutorial! To be an example of this tutorial, I will create 3 services with 1 service with a request URL will be called from the other 2 services. As you can see, both services 2 and 3 call the “/hello” URL request of Service 1 and they are all enabled for Circuit Breaker support. Enter Hystrix Stream URL of service 2 or service 3, then click Monitor Stream. 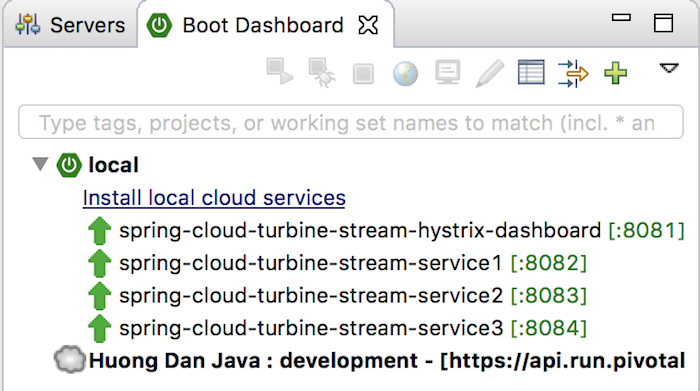 You can see that we cannot monitor multiple services at the same time in Hystrix Dashboard. Now let’s try using Turbine Stream. 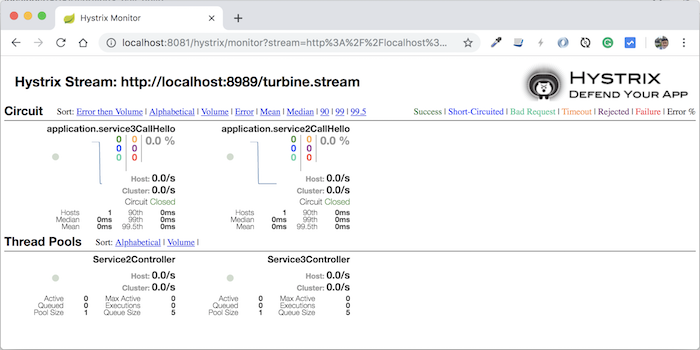 To use Turbine Stream, you need to use an MQ server. All data will be sent to this MQ server. Here, I will use the RabbitMQ server! You can refer to the tutorial about installing RabbitMQ with Management UI for it to start a server RabbitMQ for yourself. The username and password for this RabbitMQ will be guest/guest! 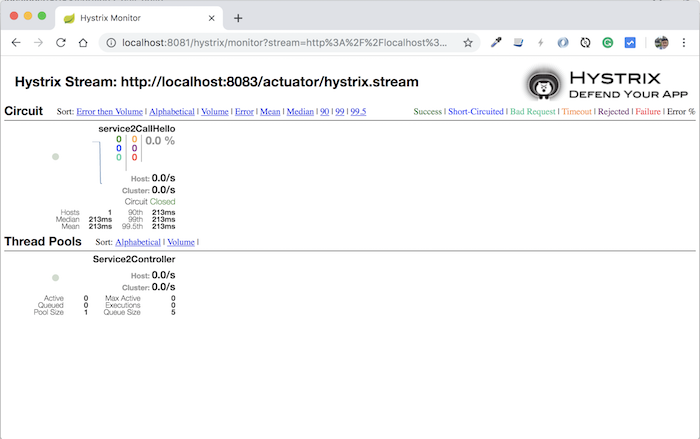 After configuring the send data section to MQ Server for services, you need to create another project that serves as Turbine Stream and combine the data in the MQ server to send to Hystrix Dashboard. 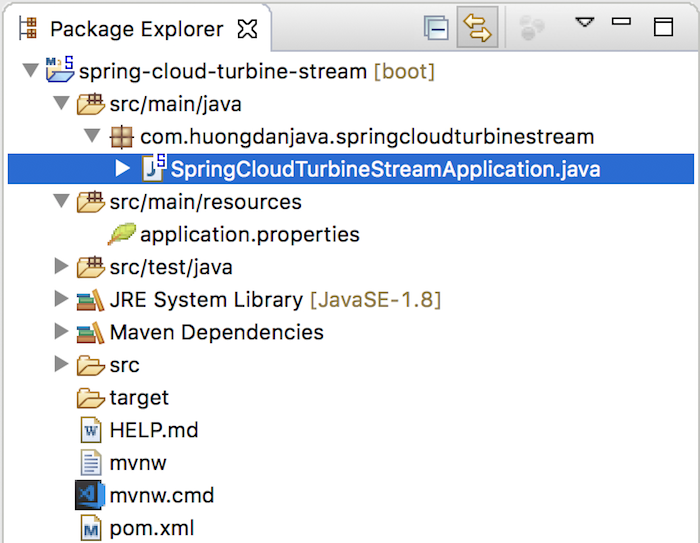 In the SpringCloudTurbineStreamApplication class, add the annotation @EnableTurbineStream to implement Turbine Stream. By default Turbine Stream will try to register it with Eureka Server so if you do not disable it, there will be many errors.